Images leaked by a member of an overclocking forum appear to show engineering samples of Intel's up and coming six-core Xeon CPU, codenamed Westmere. According to Electronista, the images - posted by user JCornell on the XtremeSystems.org forums, which we'll refrain from linking to due to an interesting choice of NSFW wallpaper - demonstrate the first known pictures of the as-yet unreleased six-core processor. The Westmere chip, which is based around the same Nehalem technology as the company's current Core i7 range of processors, features six 2.4GHz cores along with 12MB of shared level 3 cache memory and 256Kb of level 2 cache per core. With Hyperthreading support enabled, the processor is presented to the system as twelve logical processors - and is likely to make an appearance in dual-processor servers, meaning a grand total of twenty-four logical processing units for the operating system to enjoy. 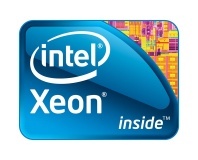 The engineering sample - identified as model number W5590 - joins the company's top-end Xeon X7460, which is also a six-core processor with a higher 16MB cache and 2.66GHz clock speed. However, the new Westmere chip is based around a 32nm rather than 45nm process and has Hyperthreading support missing in the X7460, which - depending on the type of task being executed by the server - can improve performance. The new processor's model number suggests that it will be priced closer to the 2.93GHz quad-core X5570 at $1,386 (£819) rather than the top-end X7460's eye-watering $2,729 (£1,612). Thought to be the basis of the next-generation of top-end servers and workstations, Westmere is not officially due until the first half of 2010 - at an as-yet unknown price. Would you like to get your hands on a couple of six-core Xeon chips, or are you holding out for the inevitable eight-core processors that are likely to be just around the corner? If you can't wait then you can choose between either Intel's current Nehalem Xeons or you could look at an AMD Opteron. Share your thoughts over in the forums. 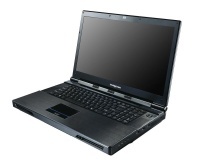 Eurocom has upgraded its Panther range of ultra-spec laptops with a six-core Xeon option. 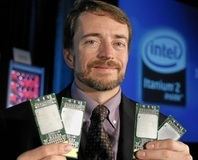 Intel's next generation Westmere-EX server chip looks set to feature ten physical cores. Microsoft has announced that Windows Server 2008 R2 will be its final operating system release to support Intel's IA-64 architecture, as found in the Itanium CPU range.